– Concept and AD of Monoprix gift cards. 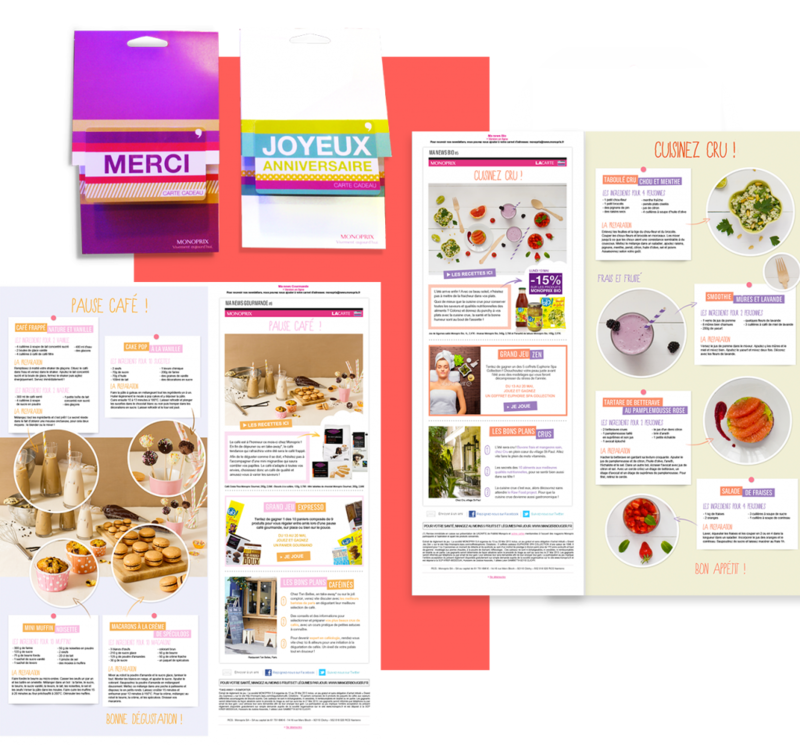 – Creation of food newsletters and their associated landing page recipe, « Cuisinez cru » and « Pause Café ». Intentions of shoot and layout. – Content for Monoprix’s Facebook from April to June 2013. 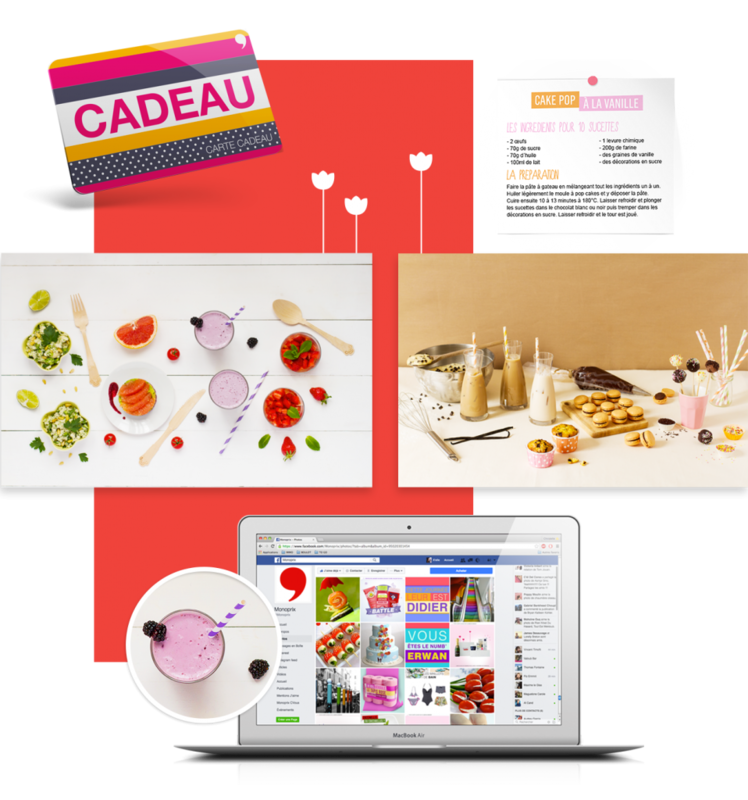 – Packaging and communication related to the Monoprix Mother’s Day Box. Packaging : Gift cards still on sale since 2013 in all Monoprix. Box mothers’ festivals sold in all Monoprix for a limited time. Digital : Newsletter sent to customers of the Monoprix card, content social networks from April to June 2013.